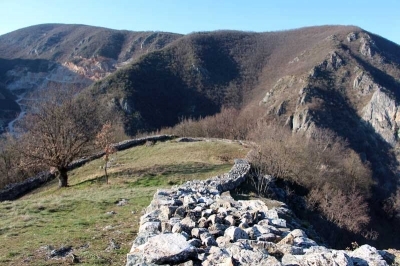 Stari Ras and Sopocani are medieval Serbian monuments. Stari Ras was one of the first capitals of the medieval Serbian state of Raška. It was founded between 8th and 10th centuries and got deserted sometime in the 13th century. 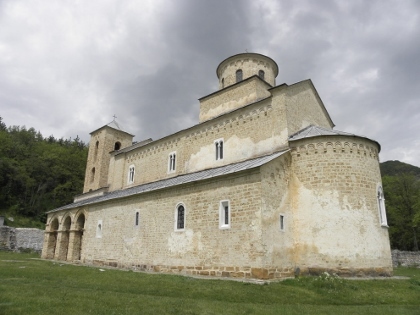 Nearby Sopocani monastery was built in the second half of the 13th century. 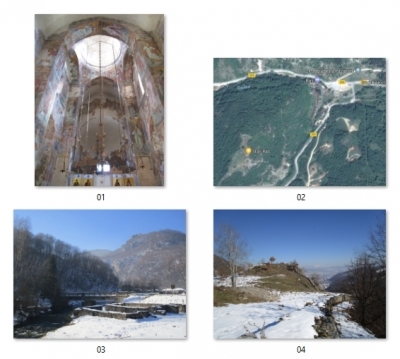 The frescoes of Sopocani are considered by some experts on Serbian medieval art as the most beautiful of that period. On the western wall of the nave is a famous fresco of the Dormition of the Virgin. This WHS lies about 60km south of Studenica Monastery, and their histories are strongly related. The area was the heartland of medieval Serbia. Now the region lies at the end of a beautiful winding road through a valley. It ends at Novi Pazar, the current regional capital that has preserved some buildings from Ottoman times. There is somewhat of an "end of the world"-feeling to it, as the area is close to the borders with Montenegro and Kosovo. The site consists of 4 separate monuments. These are all scattered around Novi Pazar within a circle of some 10km. I planned to visit all of them, and fortunately each is well-signposted via the large brown signs that are signalling to monuments worldwide. My first stop was Sopocani Monastery, which I found at the end of a small backroad full of potholes. There's a tiny car park, and the man attending the monastery shop was already on the lookout for me. I did visit the main church first however. It's a large romanesque structure, not too spectactular from the outside. 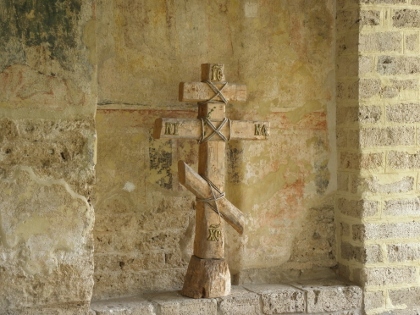 The interior has a wealth of murals, painted in the same style as the ones in Studenica. This church is much larger and higher though, so the murals get more natural light. Refreshed after lunch, I drove to the last component of this WHS: St. Peters Church. It is the oldest church in Serbia, though how old is a bit of a mystery (somewhere between 4th and 9th century). Here I was the only visitor again. The gates were open and I could admire the pretty little building from the outside. It is surrounded by an old cemetery, with grave markers made out of heavy stones. I waited awhile for someone to show up, the "friendly priest" or the "neighbour with a key", to show me the interior of the church. But nobody did. I visited Sopocani as part of a road trip through Serbia, starting and ending in Belgrade. The site is a bit off the beaten path and certainly not in a tourist region. Novi Pazar is one of these towns that make you doubt you are in a developed part of the world. The sites within the city however are easy to find. St Peter’s church and the cemetery were open for visit without entry fee. We spent the night in Stari Ras, which is actually just a hotel and some ruins. From the hotel (RAS Pazatiste) there is a small footpath leading to the fortress ruin on the top of the hill. It’s a nice little hike and chances are you won’t meet anybody and have the ruins all for yourself. From the hotel you can follow the road to the Sopocani monastery (around 7mins by car). You will find a smaller version of the Studenica monastery, but still enjoyable enough to be worth the effort. I had to create another WHS hunting trip itinerary around my annual skiing trip, and this winter the ski resort of my choice was at Jahorina, Bosnia, the site of the 1984 Winter Olympics. So I attempted to bag remaining WHSs in Serbia, Bosnia, Croatia, Slovenia and Italy. Unlike last winter when I couldn't move around in Bulgaria due to criplingly heavy snow, there wasn't so much snow in the Balkan this winter, so I was able to follow my itinerary fairly well, although bus timetables I got off internet in Serbia and Bosnia were way off. Flew from Berlin to Nis in Serbia and took bus from Nis through Kraljevo and Usce to Novi Pazar. The day I arrived in Novi Pazar, I just walked to St. Peter's Church, which was about 2 km from my hotel. There was no attendant at the Monastery, so I just freely walked around, having the taxi wait for me for about 20 min. After Sopocani I was expecting the taxi driver to take the road that leads to Stari Ras up on the hill that I saw on Google Map, but as it turned out, the road was not for cars. I was told at the hotel at the Stari Ras area that the only way to go up to Stari Ras was to hike up a trail that starts off right behind the restaurant of the hotel for about 30 min. So, by giving another 10 Euros to the demanding taxi driver, something I hated to do, I had the driver wait at the hotel parking for 90 min. and hiked up. Walking on the snow-covered trail was majorly difficult, especially on the way back down; nonetheless, I managed to go up and down, falling down only once, within about 70 min, spending about 20 min. up there. It wasn't quite Masada, but the view of Novi Pazar from the top of the hill was rewarding. Since I still had 20 min. left for the 90 min. time limit, I had a quick lunch at the restaurant. I didn't go to see Stupovi Monastery, as I was no longer willing to spend money for taxi for this WHS. Photo 01 shows the interior of the Sopocani Monastery Church. In Photo 02 or any Google satellite photo you can actually see the trail, albeit vaguely. Photo 03 was taken near the hotel parking, and you can see part of Stari Ras on top of the hill. Indeed I saw the parking from the top. 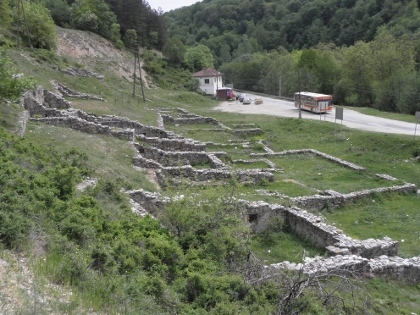 Photo 04 shows the ruin of the first capital of Serbia on the hill! 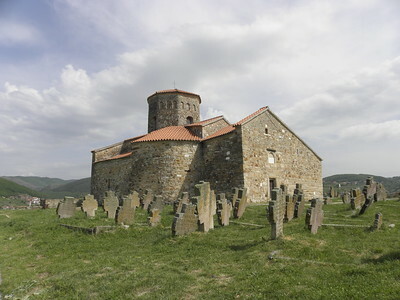 Cemeteries: The Church of St Peter was built over an Illyrian cemetery.